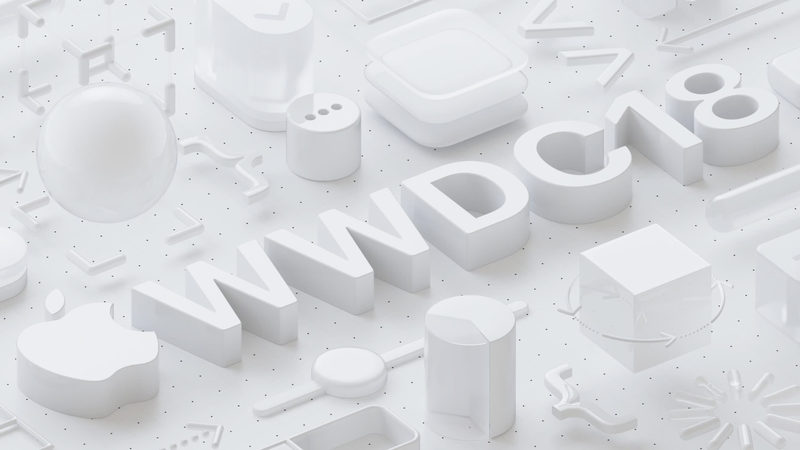 When Apple speaks to developers next week, pay close attention to what the company says about two key areas: augmented reality and digital health. The other relates to well being — that is, healthfully using its tech products. Google talked up such features for Android at its developer conference last month, and Bloomberg reports that Apple will do the same on Monday. Be smart: Apple, like its competitors, is scrambling to demonstrate that it is not a digital-addiction-peddling, privacy-invading corporate monster. Since it's less in the business of profiting from user data, it stands to be in a better position than Facebook and Google in this regard. Go deeper: Read my full story in the Axios stream. Here's another entry in the already fierce battle for most 2018 tech story of the year. 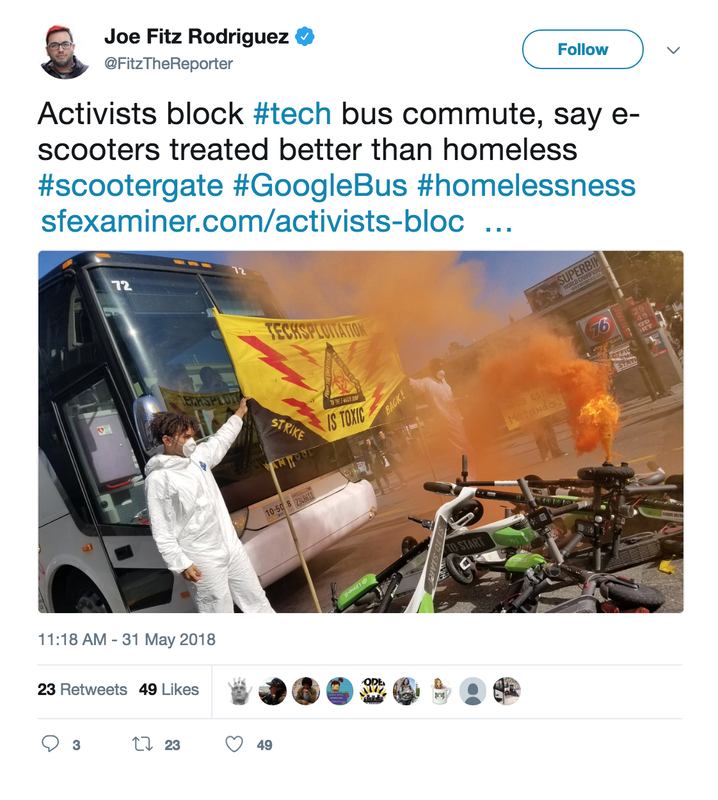 As seen in the tweet above, housing activists in San Francisco blocked private shuttle buses with scooters on Thursday. What's happening: Protestors were trying to call attention to the city's failure to help its homeless population and its focus on catering to tech companies, according to the San Francisco Examiner. Teenagers aged 13 to 17 are losing interest in Facebook, with only 51% using the social media platform — a drop of 20 percentage points since 2015, according to a new study released Thursday by Pew Research Center, Axios' Khorri Atkinson writes. YouTube is now said to be their most popular platform — with 85% of teens saying they use it. 72% say they are active users of Instagram. 69% say they use Snapchat actively. Amid all the talk about companies rolling out ride-hailing services with self-driving cars, Waymo snuck in a twist to its plans via an announcement yesterday with Fiat Chrysler: The two companies have started discussing how they could sell self-driving cars to consumers. Why it matters: By and large, companies working on self-driving cars have envisioned the vehicles being owned by businesses that offer rides as a service to consumers, reports Axios' Kia Kokalitcheva. These cars will be expensive (at least at the beginning) and more efficiently utilized by ride-hailing services, many argue. Even Tesla, whose CEO Elon Musk has described eventually selling his company’s self-driving cars to consumers, predicts that they’ll add their vehicles to shared-car fleets so others can pay to use them while the owner is on vacation or at work. Of course, Waymo still intends to provide ride-hailing services. Just on Wednesday, Uber CEO Dara Khosrowshahi said at the Code conference in Southern California that the company is talking to Waymo about possibly having its self-driving cars offered as an option to Uber customers. As Axios' Dan Primack scooped yesterday, Ron and Topher Conway have decided to stop raising new money. Going forward, they will invest only their own funds under the SV Angel moniker. Augmented World Expo wraps up in Santa Clara, Calif.
Matterport named former Apple iTunes executive Chris Bell as its chief marketing officer. IBM confirmed layoffs in its Watson Health unit, but said they represent a "small percentage" of the division's 7,000-person workforce. ARM announced new chip designs that could pave the way for faster Windows laptops and more powerful Android phones, VentureBeat and CNET report. Walmart officially announced Jetblack, its $50-per-month same-day delivery service, per Bloomberg. Facebook is working to shore up news programming for its upcoming Facebook Watch video effort, according to the Wall Street Journal. Apple, Microsoft and Google are all working together to advance a standard for Braille displays, The Verge writes. The Verge also reports that Canon has stopped selling its last film camera. I think Friday calls for a dog photo. So here's"Darth Pupper," from my Axios colleague Bubba Atkinson.